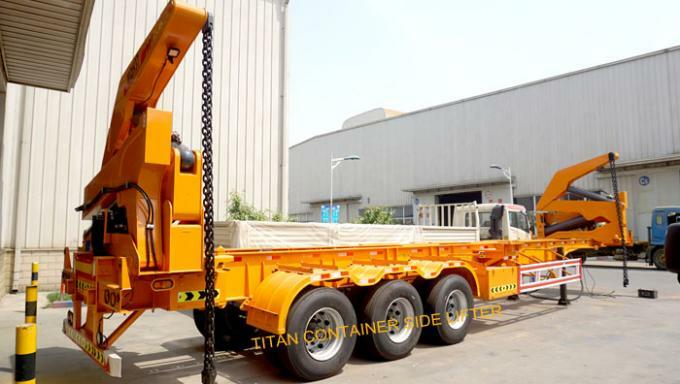 Titan sidelifter trailers for sale are specially designed and manufactured to transport and loading containers. There are two types. One is with control system by getting power from gear box. Anther one is with diesel engine. 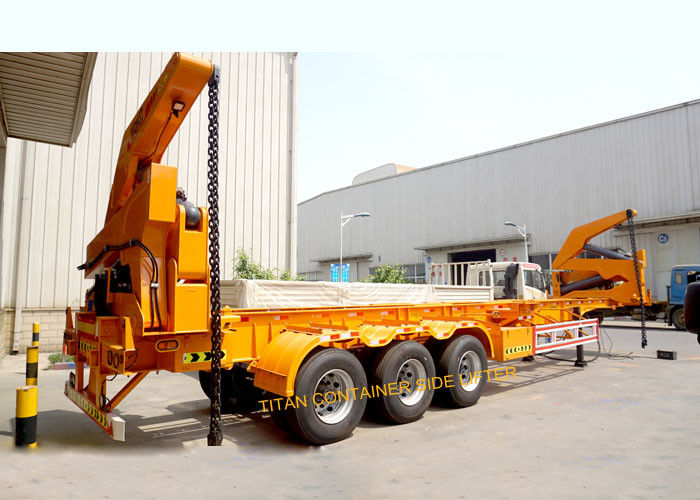 It is very convenience to load and unload containers by this model. It can take 20ft and 40ft containers. Container sideliters are main vehicles at sea port. 1. with independent power unit---Japan Kubota Brand Engine Motor. 2. 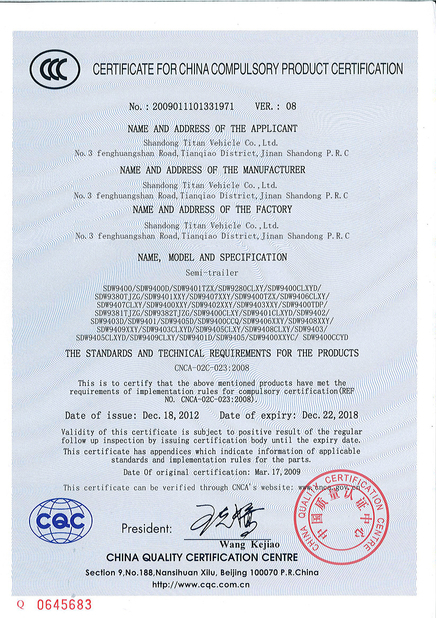 All parts equipped are from European brand. 3. Hydraulic lifting crane is Italian CASAPPA Brand. 4. The Chassis is the most durable for using. 5. 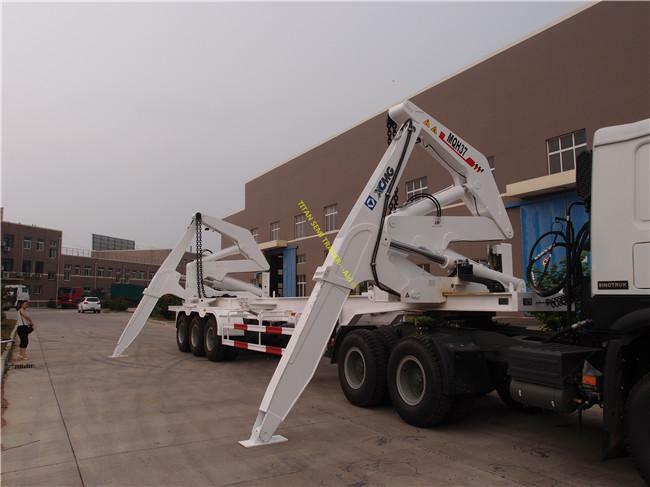 For the crane can move forwards and backwards, so it can lift both 20ft and 40ft container. 6. 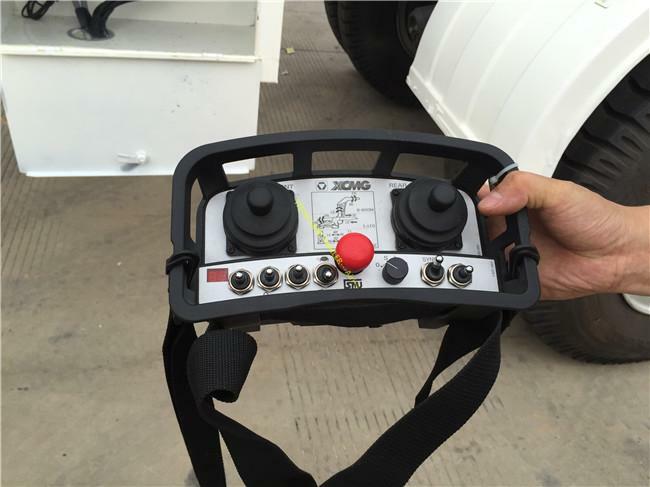 With wireless remote control system, the controller is imported from famous brand, simple operation and reliable sightly movement. 7. The manual operation is still kept for emergency situation. 8. The solenoid proportional valve is imported, operated accurately. 9. With dual speed for idle loading and heavy loading. 10. Dual pumps and dual circuits, not influnced by unbalance loading. 11. With intelligient safety protection system, the dangerous operation will be cut off intelligently. 12. With safety control device for whole vehicle, with a key switch. 13. 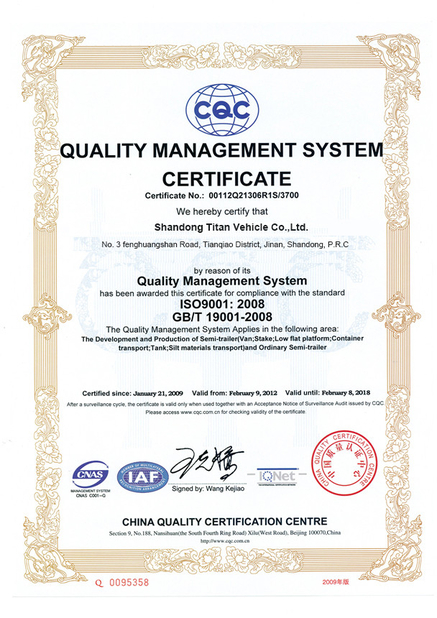 Installed imported central lubrication system, electric control is simply. 14. the structure parts are made of high strength steel and past stress test. 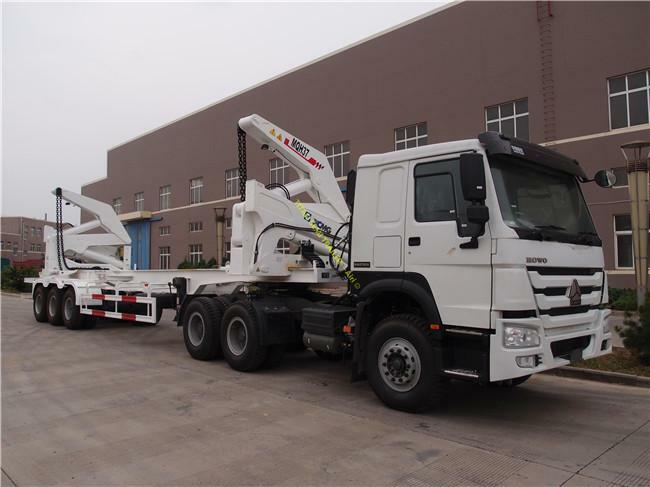 More details of side loader trailers, welcome to contact and visit our factory.